Last Thursday, a bipartisan group of legislators filed a bill to allow Veterans Affairs doctors to recommend medical marijuana. A dozen House members led by Reps. Earl Blumenauer (D-OR) and Dana Rohrabacher (R-CA) introduced the Veterans Equal Access Act Thursday. The bill would allow Veterans Affairs (VA) physicians to discuss and recommend medical marijuana to their patients, a right enjoyed by physicians outside of the VA system. Click on the link to see all the sponsors and more details of the bill. The bill is not yet available on the congressional web site. Last Thursday,the Arizona appeals court ruled doctors can't be charged for making medical marijuana referrals. The Court of Appeals ruled that doctors who recommend medical marijuana to patients are not subject to criminal charges even if they failed to do a review of a year's worth of patient records. Police sent an informant to the office of Dr. Robert Gear in 2012, and Gear signed a medical marijuana certification based on a physical exam, but before receiving the patient's records. Prosecutors in Navajo County charged him with forgery and fraud, but the appeals court ruled that the state medical marijuana law gives him immunity. "In enacting the (law), the voters explicitly barred prosecution of a physician for providing 'written certifications' or 'for otherwise stating' that certain patients may benefit from `the medical use of marijuana,'" presiding Judge Patricia K. Norris wrote in the opinion. The case is State v. Gear. On Wednesday, a state doctors' panel heard requests to add more qualifying conditions. The state Medical Marijuana Program's Board of Physicians heard from patients and advocates pleading with them to expand the state's medical marijuana law to include more medical conditions. The board has received petitions seeking to add severe psoriasis and psoriatic arthritis; sickle cell disease; Tourette's disorder; and post-laminectomy syndrome with chronic radiculopathy -- chronic pain after back surgery -- to the list of qualifying maladies. The program is accepting written submissions, petitions, and testimony from the public until December 12 and will deliberate on the issue in January. If it approves adding new conditions, that's just the first step. Click on the link for all the bureaucratic details. On Monday, Florida advocates announced plans for a 2016 initiative. United for Care, the group behind this year's medical marijuana initiative that came up just short, has announced it will try again in 2016. "We are swiftly mobilizing a new petition push to get medical marijuana" on the 2016 ballot, United for Care director Ben Pollara told supporters this week in a fundraising announcement. This year's Measure 2 won 57% of the vote, but it needed 60% because it was a constitutional amendment. It looks like the group is going to go the constitutional amendment route again, despite the higher bar it creates. Last Thursday, the state Pharmacy Board punted on reclassification. The Board has decided to defer a decision on whether to reclassify marijuana from Schedule I to Schedule II under state law until its January meeting. The Board could have decided at its Wednesday meeting to recommend to the legislature that marijuana be rescheduled after a public hearing Monday, but while it said marijuana does have medical use, it also worried that it has high abuse potential. The board was (in)acting on a petition from Des Moines medical marijuana activist Carl Olsen. Last Wednesday, state officials announced Nevada will honor out-of-state medical marijuana cards. Once dispensaries begin to open in the state next year, people holding medical marijuana recommendations from other states will be able to purchase marijuana there. Last Friday, the state approved its fourth dispensary. The state Health Department has issued a permit for a fourth dispensary to start growing medical marijuana ahead of a scheduling opening next spring. The Breakwater Alternative Treatment Center won approval last Friday. Last Saturday, activists met to plot next moves on medical marijuana. Activists met over the weekend in Sioux Falls to plot how to move forward in a state that has twice rejected medical marijuana at the ballot box. A 2006 initiative lost by just four points, but a 2010 initiative lost by a whopping 32 points in the year of the Tea Party. Now, supporters will try to get a bill moving in the state legislature, but if that fails, they are pondering a 2016 ballot initiative. On Monday, a key state senator outlined her medical and recreational marijuana regulation bill. State Sen. Jeanne Kohl-Welles (D-Seattle) said she plans to file a bill that would regulate both recreational and medical marijuana in a single system, slash marijuana taxes, and allow home cultivation of up to six plants for any adult-- not just medical marijuana patients or caregivers. The bill would phase out collective gardens and generally fold the medical marijuana system into the state's regulated marijuana system. Kohl-Welles hasn't filed the bill yet and said she is consulting with stakeholders and legislators, but she said she would pre-file it next month. Also on Monday, Seattle's mayor released his medical marijuana regulation plan. Mayor Ed Murray's office unveiled its plan for regulating medical marijuana collective gardens and dispensaries. The plan would create two classes of collective gardens. Class 1 would operate dispensaries, while Class 2 would not and is subject to fewer regulatory restrictions. Under state law, recreational marijuana is regulated at the state level, but medical marijuana is not. While efforts to regulate medical are likely in the state legislature next year, Murray said even if they pass, they wouldn't go into effect until 2016, so the city is moving to regulate now. DC City Council Committee Approves Tax and Regulate Bill. The council's Committee on Business, Consumer, and Regulatory Affairs today voted in favor of legislation to tax, regulate, and license the production, distribution, and sale of marijuana in the nation's capital. The bill is B20-466, the Marijuana Legalization and Regulation Act. Movement on the bill comes just three weeks after DC voters overwhelmingly approved the Measure 71 marijuana possession and cultivation legalization initiative. That initiative didn't address taxation and regulation because it could not do so under DC law, which leaves such moves to the council. And the council is moving. Georgia State Senator Files Legalization, Medical Marijuana Bills. State Sen. Curt Thompson (D-Norcross) Monday pre-filed bills to legalize both medical and recreational marijuana. SR 6 is a resolution calling for a state constitutional amendment to legalize marijuana, while SB 7 is a full-fledged medical marijuana bill that would allow patients to grow their own and possess up to two ounces, allow registered caregivers to grow for patients, and allow for dispensaries. New Mexico State Representative Talks Pot Legalization. A marijuana legalization bill died in the legislature this year, and prospects for passage in the incoming, even more heavily Republican legislature next year are not good. But that's not stopping Rep. Bill McCamley (D-Las Cruces). He says the state needs to have the legalization conversation, and he's making his case today during a meeting of the interim Health and Human Services Committee. Click on the link for some McCamley quotes. Seattle Mayor Releases Medical Marijuana Plan. Mayor Ed Murray's office Monday unveiled its plan for regulating medical marijuana collective gardens and dispensaries. The plan would create two classes of collective gardens. Class 1 would operate dispensaries, while Class 2 would not and is subject to fewer regulatory restrictions. Under state law, recreational marijuana is regulated at the state level, but medical marijuana is not. While efforts to regulate medical are likely in the state legislature next year, Murray said even if they pass, they wouldn't go into effect until 2016, so the city is moving to regulate now. Australia's Queensland to Toughen Penalties for Drug Dealers in Fatal Overdoses. The Queensland state government is set to introduce a bill today that would compel courts to consider the death of a drug user an aggravating factor in sentencing of drug dealers. Attorney General Jarrod Bleijie said the bill was inspired by a case last year in which a man was sentenced only to probation after supplying a shot of morphine to a minor who died of an overdose. Prescription Heroin Coming to Vancouver. Doctors in Vancouver have received the first shipment of prescription heroin to be used by former participants in a clinical heroin maintenance trial. In all, 120 severely addicted people have been approved by Health Canada to receive the drugs. The first shipment will begin to be administered this week to the first 26 participants. 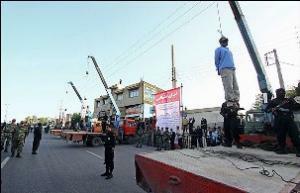 The patients will go to a clinic two or three times a day to receive and inject the drug. They must then wait at the clinic for at least 20 minutes to nurses can monitor them. The project is an outgrowth of the North American Opiate Medication Initiative (NAOMI) and the follow-up Study to Assess Longer-term Opioid Medication Effectiveness (SALOME). Chile Celebrates Fourth Legalize Festival. Thousands of people attended the fourth annual Legalize festival in Santiago Monday. Part pot party, part political protest, the festival includes expositions, panels, and live music. Ancient British rockers Deep Purple were among the bands playing yesterday. Malta Ponders Bill to Decriminalize Drug Possession. A major drug reform bill, the Drug Dependence Bill, which would decriminalize the first-time possession of drugs, went to parliament Monday. First offenders would face only fines, but repeat offenders would have to appear before a Drug Offender Rehabilitation Board and could be ordered to drug treatment if appropriate. People could grow one marijuana plant without being subject to mandatory jail time, and the bill would also allow for the use of medical marijuana. 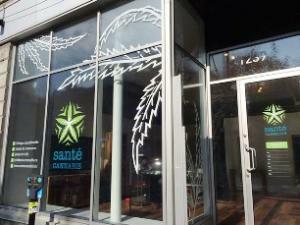 Sante Cannabis, Montreal's first doctor-on-site medical marijuana clinic, opened today. No More Pot Prosecutions in Portland. That didn't take long. Less than a week after Oregon voters approved the Measure 91 legalization initiative, prosecutors in Multnomah County (Portland) announced Monday that they will dismiss all pending violation-level marijuana possession cases and won't bother to prosecute any future ones. "Because it is clear that a significant majority of voters in Multnomah County support the legalization of marijuana in certain amounts, this office will dismiss the pending charges related to conduct which will otherwise become legal July 1, 2015," said a statement from Multnomah County DA Rode Underhill. "Any remaining charges not impacted by Ballot Measure 91 will be prosecuted." Prosecutors in other Oregon counties are still figuring out how to respond. Alaska Legislator Getting to Work on Legal Marijuana Draft Regulations. That didn't take long, either. Less than a week after Alaska voters approved the Measure 2 legalization initiative, Rep. Bob Lynn (R-Anchorage) said Monday he plans to file legislation in January that would restrict pot shops within a certain distance of schools and public parks, limit advertising, and bar people with felonies from working in the industry. Lynn said he expects his proposals to attract plenty of discussion among lawmakers. Opposition Coalition Forms in Vermont. A coalition to oppose marijuana legalization in the Green Mountain State has announced itself. SMART VT calls itself a "grassroots coalition" of "concerned Vermonters" and is now calling on Gov. Peter Shumlin (D) to not take up legalization this legislative session. Too late, though: A public hearing on legalization is set for Wednesday. Click the last link for hearing details. US Veterans Denied Pain Medications Over Medical Marijuana Use. California NORML is reporting that it is being contacted by veterans who are being told by their VA doctors that they must choose between their prescription pain medications and medical marijuana. The group reports "a spate of complaints" from Long Beach and Loma Linda after scheduling changes for some prescription drugs recently took effect. Those changes entail stricter reporting requirements for doctors, and that, among other factors, seems to have spurred the tightening up. Click on the title link for more details and a plan for action from CANORML and Veterans for Medical Cannabis Access. Happy Veterans Day! Pain Docs Getting Rich Doing Useless Drug Tests on Seniors, Taxpayers Pick Up the Tab. In an expensive side-effect of the "war" on pain pill addiction, pain specialists are now ordering costly testing of seniors for recreational drug use, and Medicare is stuck footing the bill. The doctors are also responding to a Medicare crackdown on abusive billing for simple urine drug screens by moving to high-tech testing methods for which billing is not limited. Now, doctors are testing for a number of different drugs -- including illegal ones rarely used by seniors, such as cocaine, ecstasy, and PCP -- and raking in the tax dollars. Medicare spending on drug testing has increased an incredible 1,423% since 2007 to $445 million in 2012. That included $14 million for testing seniors for PCP, for which one lab director with 25 years in the business told The Wall Street Journal she had never seen a positive test result in people over 65. The comprehensive article is worth the read; click on the link to get it. Montreal Gets First Medical Marijuana Clinic. Montreal's first medical marijuana clinic is opening today. Sante Cannabis does not sell medical marijuana, but its doctors and staff guide patients on how to use marijuana, proper strains to use, and determine whether to smoke, vape, or use edibles. The city has had dispensaries or "compassion centers" for years, but Sante Cannabis is the first medical marijuana business to have doctors on staff. British Lib Dem Leader, Former Colombian President Team Up to Fight for Drug Reform. Liberal Democratic party leader and British Deputy Prime Minister Nick Clegg and former Colombian President Juan Manuel Santos have agreed to work together to help forge an alliance between European and Latin American countries aiming to reform global drug prohibition. They are taking aim at the UN General Assembly Special Session on Drugs set for 2016. Last Friday,nine Lake County patients filed a $600,000 claim for damages for warrantless raids on their gardens. The move comes two weeks after a federal judge granted a preliminary injunction barring such warrantless raids. The patients claim Lake County law enforcement entered their properties and seized their goods without their consent or a search warrant. They seek recompense for their stolen goods, as well as punitive damages. On Tuesday, Election Day was a mixed bag for local medical marijuana initiatives. Local measures to tax marijuana businesses passed in two Riverside County towns, Cathedral City and Desert Hot Springs, as well as in Santa Cruz city and county and Shasta Lake City. But measures to loosen restrictions on cultivation failed in Butte, Lake, Nevada, and Shasta Counties, and measures to allow dispensaries were rejected in Blythe, La Mesa, and Encinitas. The town of Weed approved dispensaries, but also approved an outdoor cultivation ban. 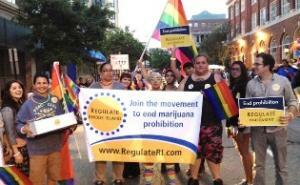 On Tuesday, the Amendment 2 initiative won a solid majority, but fell short of victory. Because it is a constitutional amendment, the initiative needed 60% of the vote to be approved. According to the Florida Division of Elections, with 96% of precincts reporting Tuesday night, Amendment 2 had 57.52% of the vote. On Tuesday, Guam voted approved medical marijuana. With all precincts counted, the Joaquin Conception II Compassionate Use Act of 2013 passed with 56% of the vote. The legislatively-sponsored referendum overcame both political inertia and legal challenges to make it to the ballot this year. Guam now becomes the first US territory to approve medical marijuana. Last Saturday, the state began a second round of patient registrations. The Illinois Department of Public Health has begun a second round of patient registrations for the state's medical marijuana program. As of last Saturday, people whose last names begin with M through Z can apply for a patient card. Patients whose last names begin with the letters A through L have been able to registers for several weeks already. 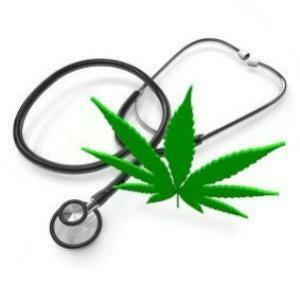 On Tuesday, the Board of Pharmacy announced it would hold a hearing on medical marijuana. The board, which has already said the state should be moving toward allowing medical marijuana, is considering whether to make new recommendations to legislators. A board committee will meet November 17 to hear testimony. Among those addressing the committee will be long-time Iowa medical marijuana activist Carl Olsen, whose petition to the board started the ball rolling. Click on the link for meeting details. Last Thursday, New York US Representatives asked the Justice Department to let the state import high-CBD medical marijuana for sick kids. In a letter to Attorney General Eric Holder Thursday, they called on the Justice Department to find a way to let the state import medical marijuana to be used by severely ill children. The governor this year moved to allow some access to medical marijuana, but the state program will not be in full effect for more than a year. That's too long to wait, the lawmakers said. "Every day makes a difference for children with these severe disorders. Given this urgent public health need, we urge you to allow New York the ability to import finite and strictly controlled amounts of cannabidiol,"they wrote. Alaska Legalizes Marijuana. In a trifecta for marijuana legalization initiatives Tuesday, Alaska has joined Oregon and Washington, DC, in voting to free the weed. That makes it the fourth state to do so. It won with 52% of the vote. Measure 2 allows adults to possess up to an ounce of marijuana and grow up to six plants (three mature). It also allows individual growers to possess the fruits of their harvest. It will set up a complete system of commercial marijuana cultivation, processing, and distribution under the purview of the Alcohol Control Board -- or, if the legislature chooses to create it, a Marijuana Control Board. Oregon Legalizes Marijuana. Oregon has become the third state to legalize marijuana. Voters Tuesday approved Measure 91, which will legalize personal marijuana possession and cultivation and set up a system of taxed and regulated marijuana commerce. According to election results compiled by The Oregonian, with two-thirds of the votes counted, the initiative was winning with 53.7% of the vote. 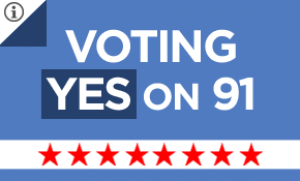 [Update: Measure 91 finished up with an even more impressive 55.9%.] Under Measure 91, adults 21 and over will be able to possess a half-pound of pot and grow up to four plants. The Oregon Liquor Control Commission will be charged with drafting regulations and overseeing implementation of the will of the voters. It will act in consultation with the state Department of Agriculture and the Oregon Health Authority. 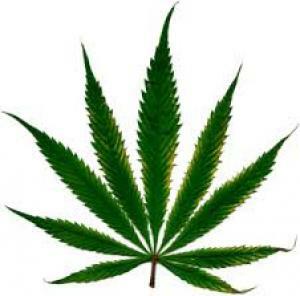 Washington, DC, Legalizes Marijuana. Voters in Washington, DC, today overwhelmingly approved Initiative 71, which will make it legal for adults to possess and cultivate small amounts of marijuana in our nation’s capital. Partial election results from the DC Board of Elections Tuesday night had the initiative winning handily with around two-thirds of the vote. It was at 64.5% with 11% of precincts reporting at 10pm, the lowest figure of the day. [Update: Initiative 71 finished up with 64.7%.] That was enough for supporters to call the election. Because of District law, the initiative could address legal marijuana commerce. That is the purview of the DC city council, which has already demonstrated its friendliness to marijuana law reform by passing decriminalization earlier this year. The council is already considering a bill to legalize, tax, and regulate marijuana commerce. GOP Congressmen Threatens to Try to Block DC Legalization. Rep. Andy Harris (R-MD) is saying he will try to block the legalization initiative just passed by DC voters. "Actions by those in DC will result in higher drug use among teens," Harris told The Washington Post. "I will consider using all resources available to a member of Congress to stop this action, so that drug use among teens does not increase." Earlier this year, Harris got the House Appropriations Committee to back a rider that would have blocked the DC city council's decision to decriminalize marijuana, but that rider didn't make it into the final DC appropriations bill. South Portland, Maine, Votes to Legalize; Lewiston Does Not. Voters in South Portland voted 52% to 48% to approve a local legalization initiative, but voters in Lewiston did not. The measure there got only 45% of the vote. Portland, the state's largest city, passed a similar measure last year. Massachusetts PPQs on Marijuana Legalization Pass. Non-binding public policy questions asking voters whether they approved telling their elected representatives they wanted to legalize marijuana passed in all 14 districts where they were on the ballot. Activists have been placing marijuana reform PPQs on the ballot each election since 2000, and they've never lost one. This year, most passed with more than 70% approval; the lowest passed with 54%. Michigan Towns Split on Marijuana Initiatives. Marijuana legalization, decriminalization, or lowest law enforcement priority measures were on the ballot in 11 towns. They won in Saginaw, Berkeley, Huntington Woods, Pleasant Ridge, Port Huron, and Mt. Pleasant. They lost in Lapeer, Harrison, Onaway, Frankfort, and Clare. The state's largest cities have already approved similar measures. New Mexico Non-Binding Decriminalization Initiatives Pass Big in Bernalillo, Santa Fe Counties. Non-binding, county level decriminalization initiatives won big in the state's largest and third-largest counties. Bernalillo County (Albuquerque) voted 59% in favor, while Santa Fe County (Santa Fe) produced an impressive 73% in favor. Florida Initiative Wins Majority, But Not Enough to Pass. Florida's Amendment 2 medical marijuana initiative was defeated in today's election, even though it won a majority of votes. Because it is a constitutional amendment, the initiative needed 60% of the vote to be approved. According to the Florida Division of Elections, with 96% of precincts reporting Tuesday night, Amendment 2 had 57.52% of the vote. Mixed Bag for California Local Initiatives. Local measures to tax marijuana businesses passed in two Riverside County towns, Cathedral City and Desert Hot Springs, as well as in Santa Cruz city and county and Shasta Lake City. But measures to loosen restrictions on cultivation failed in Butte, Lake, Nevada, and Shasta Counties, and measures to allow dispensaries were rejected in Blythe, La Mesa, and Encinitas. The town of Weed approved dispensaries, but also approved an outdoor cultivation ban. California Initiative to Turn Drug Possession Felonies Into Misdemeanors Passes. Proposition 47, will change drug possession (and some other low-level non-violent offenses) from felonies to misdemeanors. It is viewed as a significant step in reducing mass incarceration and a retreat from the war on drugs. The popular vote in favor of Prop 47 comes just two years after voters approved another sentencing reform initiative, that one reforming the state's notorious "three strikes" law. Prop 47 got 57% of the vote. New Jersey Bail Reform Initiative Passes. New Jersey voters have approved Public Question No. 1 to reform New Jersey’s bail system. The narrowly-worded question allows judges to deny bail to dangerous individuals, but it ushers in broader bail reform because it is linked to comprehensive legislation, already signed by the governor, that overhauls the state’s broken bail system. The legislation implements wide-ranging reforms including non-monetary release options for low-risk individuals; a system under which pretrial release decisions are based on risk rather than resources; the use of risk assessments for suspects enabling courts to make individualized determinations of what conditions of release are appropriate; establishment of a pretrial services unit within the court system that will provide appropriate levels of monitoring and counseling for those awaiting trial. NYPD Ordered to Quit Doing Marijuana "Buy Busts." The NYPD has been ordered by the office of Mayor Bill de Blasio (D) to quit doing penny ante pot "buy and bust" operations. The head of each borough's dope squad was summoned to NYPD headquarters last week and told to knock it off. Police were told to focus on more dangerous drugs. The New York Post published the story, replete with unnamed law enforcement sources complaining about the move. Voters in California enthusiastically approved an important sentencing reform initiative Tuesday, but overwhelmingly rejected an initiative that would have imposed drug testing on doctors in the state. The sentencing initiative, Proposition 47, will change drug possession (and some other low-level non-violent offenses) from felonies to misdemeanors. It is viewed as a significant step in reducing mass incarceration and a retreat from the war on drugs. The popular vote in favor of Prop 47 comes just two years after voters approved another sentencing reform initiative, that one reforming the state's notorious "three strikes" law. The failed initiative that would have imposed drug testing on doctors, Proposition 46, was drafted and backed by trial lawyers and was actually primarily about increasing the caps on medical malpractice liability payments. Drug testing doctors was added on after it proved popular in focus groups. Not surprisingly, Prop 46 was opposed by a powerful and deep-pocketed set of medical interests in what was one of the most expensive initiative campaigns in state history. The Drug Policy Alliance, whose lobbying arm, Drug Policy Action, contributed to the smartly named Californians for Safe Neighborhoods and Schools "yes on Prop 47" campaign, pronounced itself pleased with the results. "The overwhelming support for this reform sends a powerful message nationally, demonstrating that voters are not just ready but eager to reduce prison populations in ways that can enhance public safety," said DPA executive director Ethan Nadelmann. Under Prop 47, up to 20,000 people doing state prison time for simple drug possession will be eligible to seek sentence cuts, and new prison admissions should drop by between 40,000 and 60,000 a year. And hundreds of thousands of Californians with drug possession felony records will be eligible to have those records automatically expunged, removing barriers to employment, housing, public benefits, and educational opportunities. The state's county jails, which are chafing under the state's corrections "realignment," will also see reductions in prisoners, with somewhere between 10,000 and 30,000 jail beds freed up by Prop 47. Counties look to save somewhere around half a billion dollars a year, according to a brief by the Center on Juvenile and Criminal Justice. "We’ve been trying to get simple drug possession reclassified as a misdemeanor through Sacramento for years, facing first an unwillingness from the legislature and then last year’s veto by Governor Brown," said DPA state director Lynne Lyman. "With Prop 47, California voters took the issue of smart justice into their own hands. If the people lead, the leaders will follow." Oregon has become the third state to legalize marijuana. Voters Tuesday approved Measure 91, which will legalize personal marijuana possession and cultivation and set up a system of taxed and regulated marijuana commerce. The District of Columbia earlier today approved an initiative to legalize marijuana possession and cultivation, but that initiative does not allow for taxed and regulated sales. Colorado and Washington legalized marijuana in 2012. Alaska is voting on a marijuana legalization initiative today, but results have not come in there yet. Under Measure 91, adults 21 and over will be able to possess a half-pound of pot and grow up to four plants. The Oregon Liquor Control Commission will be charged with drafting regulations and overseeing implementation of the will of the voters. It will act in consultation with the state Department of Agriculture and the Oregon Health Authority. Personal legalization will not go into effect until next July 1, and legal marijuana commerce will not begin until December 2015. For drug reformers, Oregon is another feather in the cap on a day that already saw Washington, DC, legalize it. "It’s always an uphill battle to win a marijuana legalization initiative in a year like this, when young people are so much less likely to vote, which makes today’s victory all the sweeter," said Ethan Nadelmann, executive director of the Drug Policy Alliance. "The pace of reform is accelerating, other states are sure to follow, and even Congress is poised to wake from its slumber." DPA’s lobbying arm, Drug Policy Action, was the single largest donor to the Oregon campaign and was deeply involved in the measure’s drafting and on-the-ground campaign. The campaign benefited from serious financial backing, spending more than $2 million. "Having spent years as a prosecutor, I know that Oregon will benefit greatly from regulating marijuana, and that the example set here will influence future states in 2015 and beyond," said former Assistant State’s Attorney and Oregon resident Inge Fryklund, a member of Law Enforcement Against Prohibition (LEAP), which participated in the campaign. "With Oregon and DC. coming on board, it's clear that Colorado and Washington voting to legalize in 2012 was no anomaly," said Tom Angell of Marijuana Majority "The trend is clear: Marijuana prohibition is coming to an end. As 2016 approaches, we can expect to see many more ambitious national politicians finally trying to win support from the cannabis constituency instead of ignoring and criminalizing us." New Approach Oregon, the campaign behind Measure 91, was apparently too busy savoring its victory to put out a statement by press time. That's okay; we understand.